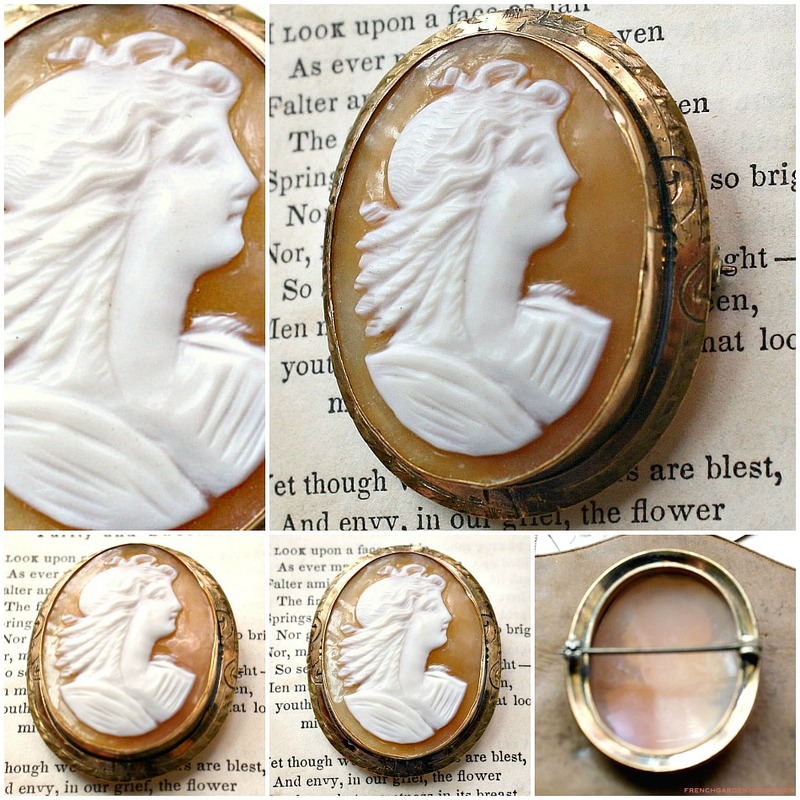 Beautiful hand carved Cameo brooch will add romance to all your feminine ensembles. 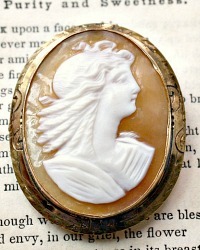 Beautifully proportioned, expertly carved, this traditional shell cameo features a lovely woman in the classical style. She has an ornate hairstyle, her curling long hair is a symbol of her femininity. 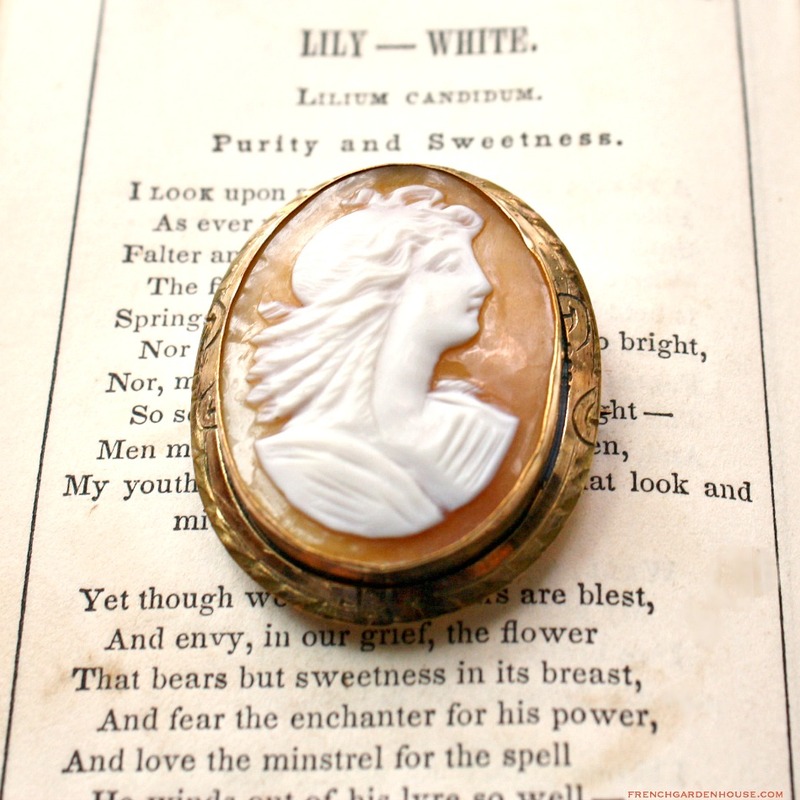 Note the fine quality of the carving, and how the expert carver used the natural curvature of the shell to create a soft jawline on the beautiful face. Surrounded by a gold filled bezel with engraved design, the clasp on the back has a locking mechanism. 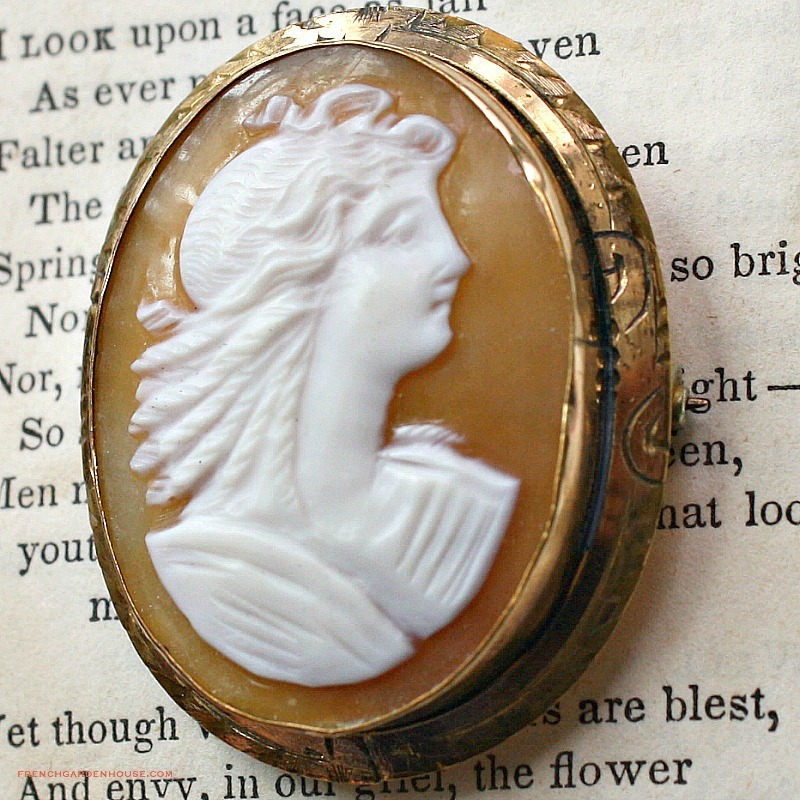 A luxury piece, perfect to add to your collection, and as gorgeous worn on the lapel of a blazer or blouse as on a silk French ribbon as a choker.